Earth Day with Terra Cura & Healthy Plymouth — Terra Cura Inc.
FREE Programs for 6th, 7th & 8th grade Plymouth students. 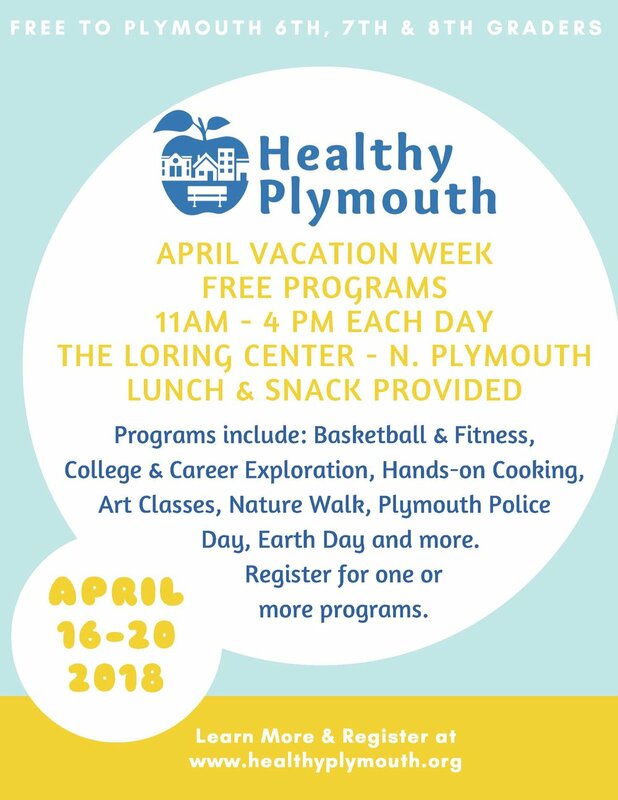 This marks Healthy Plymouth's third year of providing free programming to middle school students during April Vacation. Programs include: fitness classes with the Plymouth YMCA and Plymouth Fitness, nature walks with Wildlands Trust, a Basketball Clinic with TT Skillz and Drillz, Plymouth Police Special Operations Day, Art with Kreativ, Claychick & DoggSpot Designs, Career and College Exploration with Quincy College and Earth Day with Terra Cura. Last year we filled over 100 spots throughout the week’s programs, and we expect even higher attendance this year. Our goal is to make the week truly impactful for the students, connecting them to new interests and providing a foundation for important life skills. 11 AM - 4 PM each day, lunch and snack included. Visit https://healthyplymouth.org/ to learn more and to register. Older PostSowing Solutions Permaculture Design Certification Course - Spring Series Open for Registration!